Takeaway: Knitting has quickly become one of my favorite hobbies—and not only because it lets me create things and relax. I also knit for productivity reasons. The activity helps my mind deliberately wander, a mental mode I call “scatterfocus.” This mode has been shown to help you plan for the future, connect ideas, and recharge. Estimated Reading Time: 3 minutes, 12s. My very first dish cloth. Ah, memories . . .
A while back, I impulsively signed up for a course to learn how to knit. 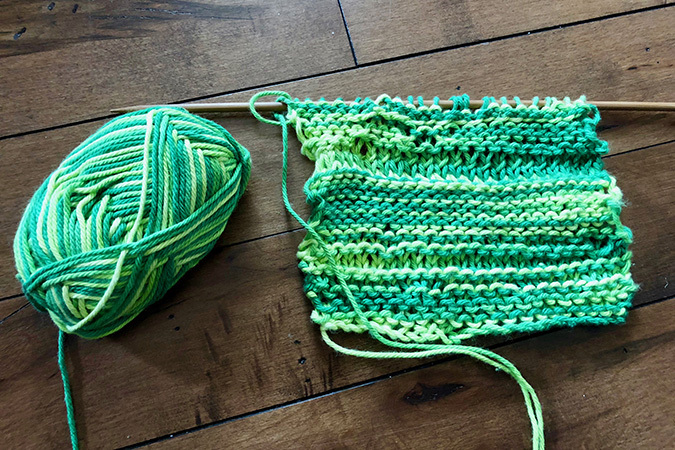 I didn’t expect the hobby to stick—much as the piano I bought on a whim has accumulated a light layer of dust over the last year, I thought my interest in knitting would be fleeting. Boy, was I wrong. In fact, today knitting has become one of my favorite hobbies. I knit to take work breaks, on planes while listening to podcasts and audiobooks, and in coffee shops while sipping my morning tea. I’ve joined a local knitting group, signed up for the knitting subreddit, and find myself accumulating more yarn than I can really handle. And I don’t just knit to relax and make things for friends—lately I’ve started to knit for productivity reasons, too. But let’s talk knitting and productivity—I knit predominately because the habit helps me rest and scatter my attention. In my recent book, Hyperfocus, I write quite a bit about the power of deliberately letting your mind wander—a mental mode I call scatterfocus. 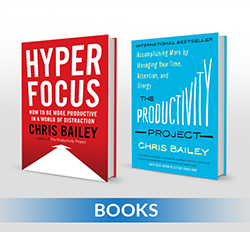 Focus is great: one hour of hyperfocused attention can be as productive as an entire afternoon of distracted work. Scatterfocus, the mental mode where you deliberately set aside time to unfocus, is just as powerful, only in different ways. 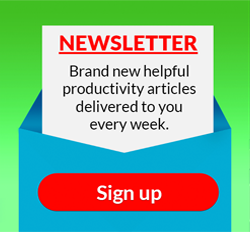 While hyperfocus is the most productive mode of your brain, scatterfocus is the most creative. Plan for the future. You think about the future a remarkable 48% of the time when in scatterfocus mode. (I cover how to increase this number in the book.) We most often think about the immediate future—setting intentions and planning what we’ll do later in the day. 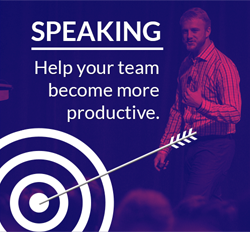 This makes scatterfocus remarkably productive, as it allows us to set intentions more often. Connect ideas. In addition to planning for the future, scatterfocus helps our minds wander to the present, to the past, and to the ideas we’ve accumulated. We generate new ideas we wouldn’t have arrived at otherwise when we connect each of these mental destinations. Our most insightful ideas rarely come when we’re focused—they happen when our mind is wandering and we’re doing nothing much at all. Rest your attention. Regulating our attention expends mental energy. Scatterfocusing, even if only for a few minutes, becomes a small pocket of time in which we no longer need to regulate our behavior. This helps replenish our limited supply of mental energy. The research also shows these benefits are amplified when we scatter our attention while doing something habitual—knitting included. This is why I love the activity. It doesn’t consume my full attention since it’s relatively habitual—this lets me scatter my attention and helps new ideas surface in my attentional space. Habitual tasks have been shown to lead to a greater number of creative insights—and makes entering scatterfocus more fun. Doing something habitual that you love is the best way to let your mind rest, plan, and ideate. Luckily, you don’t need to take up knitting to experience the benefits of scatterfocus. If you’re anything like me, I think you’ll be surprised by how much you love the hobby, but truth be told, any habit will do. Habitual tasks not only give our mind a rest from the demands of work and life. 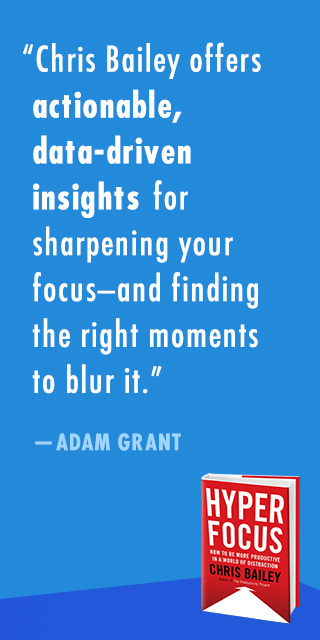 They also help us unearth insights while we plan for the future—this makes any moments we spend in scatterfocus time well spent.